The legendary actor has died of natural causes. 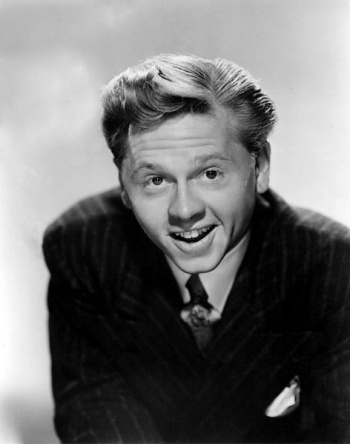 Mickey Rooney was a short actor with a long career, whose film, television, and stage appearances span nearly his entire lifetime. Sadly, his legendary career has come to an end today, as his family has announced the actor passed away at his home in North Hollywood, surrounded by his family. He was 93 years old. Rooney first rose to fame for his role as Andy Hardy, in a series of sixteen films for MGM, before moving on to gain international fame for his leading role as Henry Dailey in The Family Channel's The Adventures of the Black Stallion. Along with Jean Darling, Carla Laemmle, and Baby Peggy, he was one of the last surviving stars who worked in the silent film era. Christopher Aber, Rooney's step-son, said that Rooney will be buried in "Westlake Village at the Pierce Brothers cemetery. Thank you for all your prayers." Rooney was truly an actor who loved to act, as even in the lead up to his death he was working on a film called The Strange Case of Dr. Jekyll and Mr. Hyde, and Night at the Museum 3 director Shawn Levy tweeted that Rooney had also shot scenes for the his movie just last month. Rooney received two honorary Academy Awards, four Oscar nominations and one Emmy Award during his career, which spanned from 1926 until today, a whopping 88 years. The lovable "pint-sized ball of energy" will surely be missed.